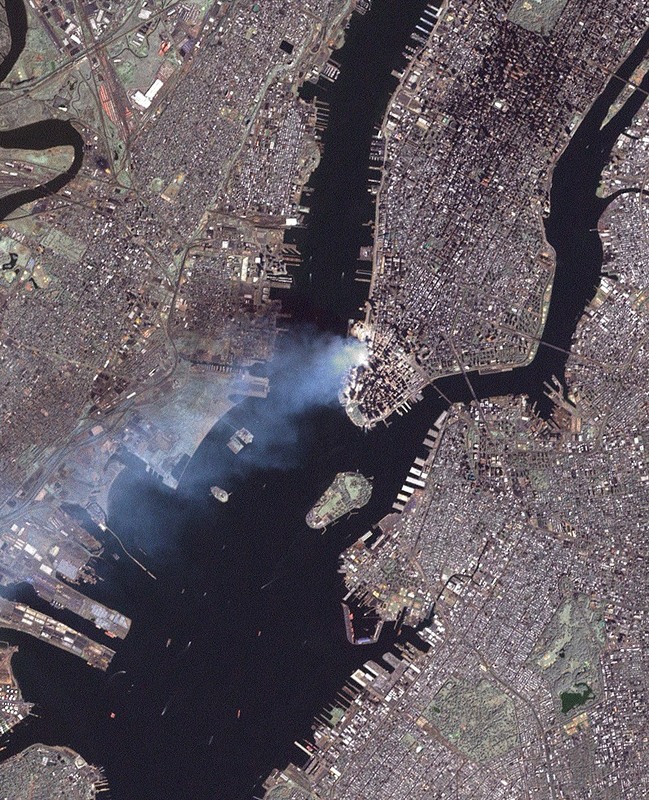 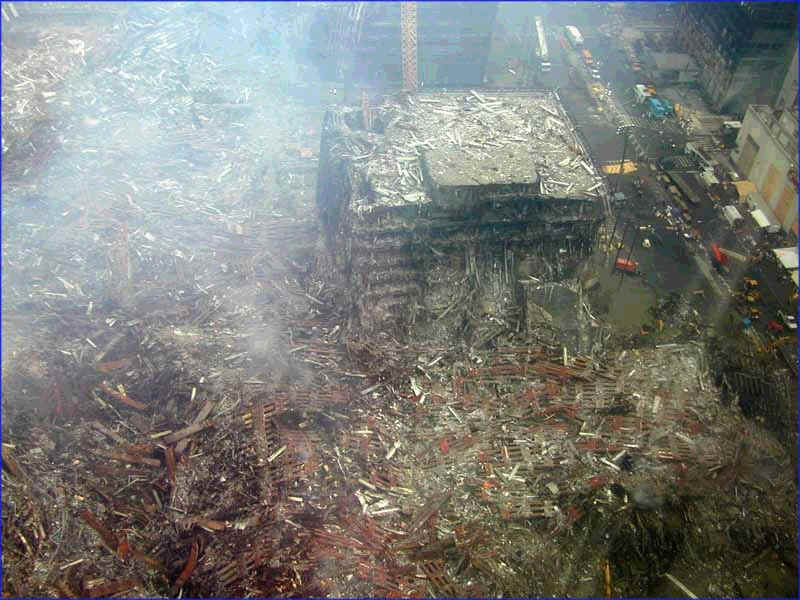 Ground Zero, New York City, N.Y. (Sept. 17, 2001) -- An aerial view shows only a small portion of the crime scene where the World Trade Center collapsed following the Sept. 11 terrorist attack. 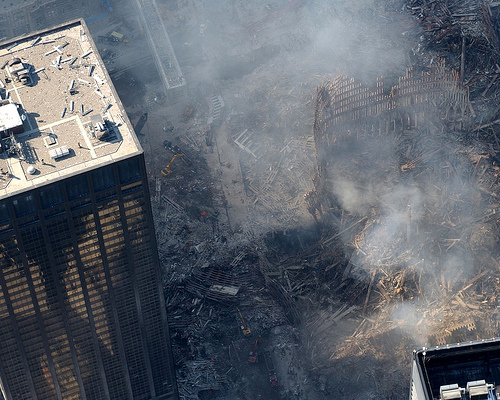 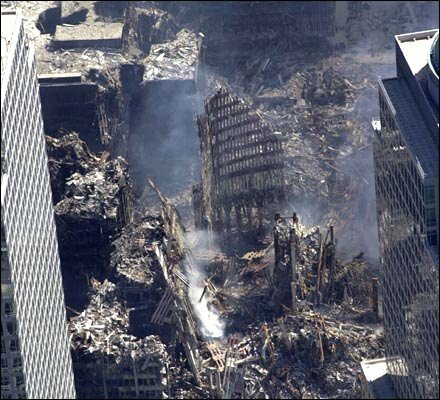 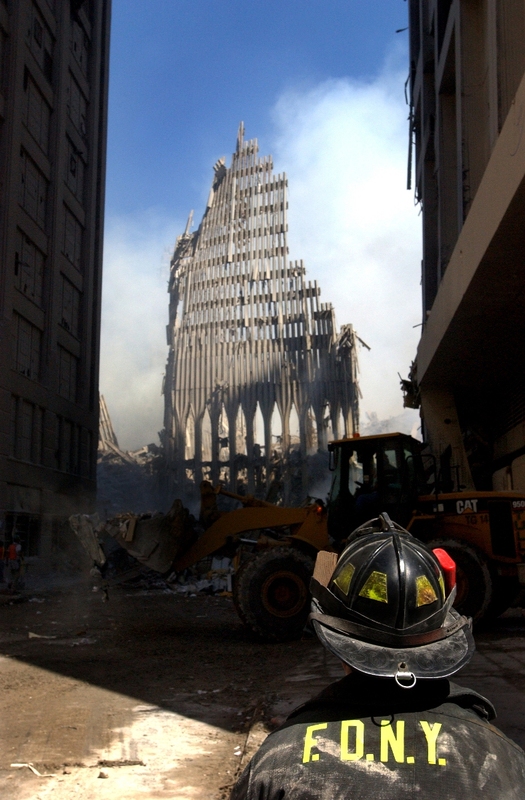 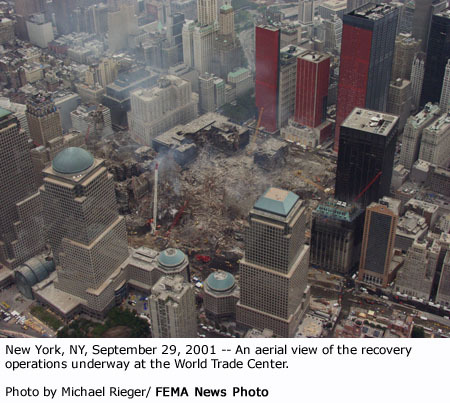 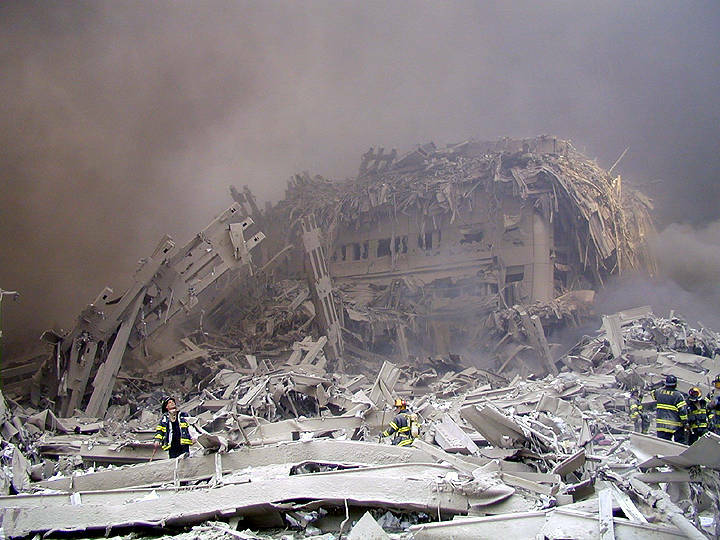 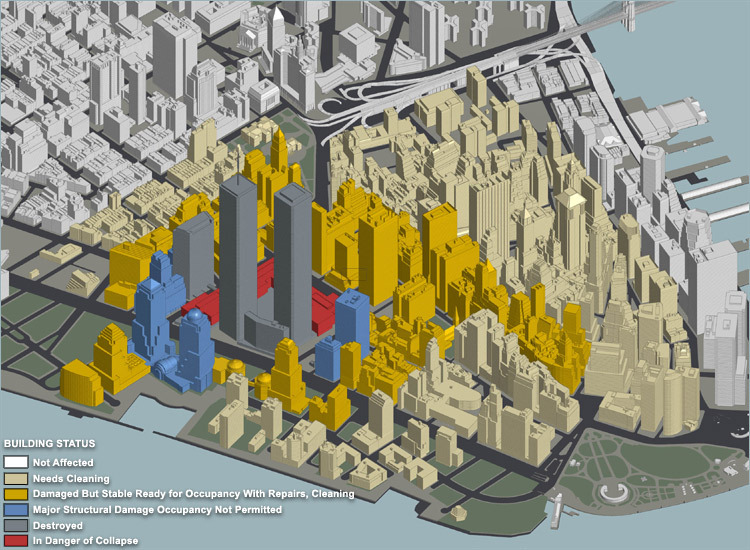 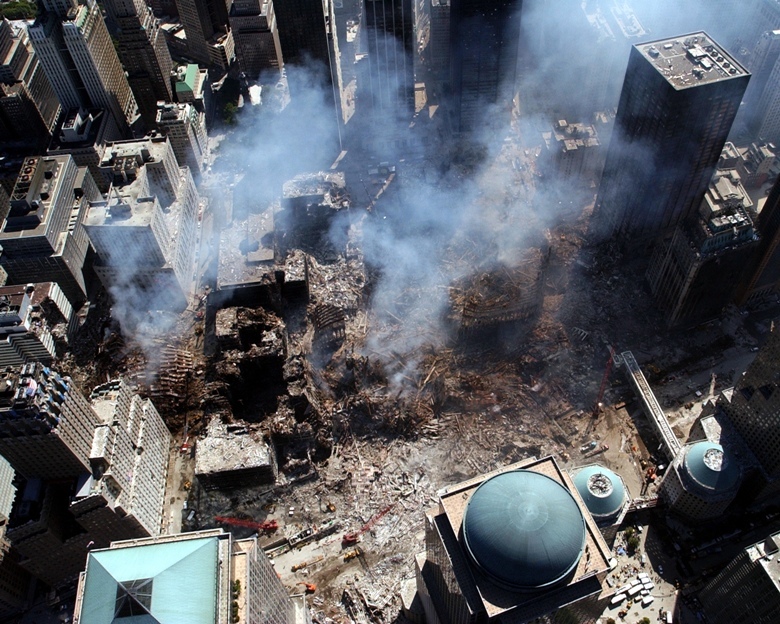 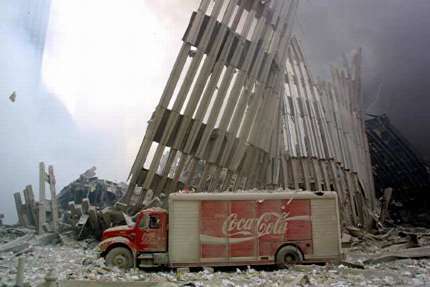 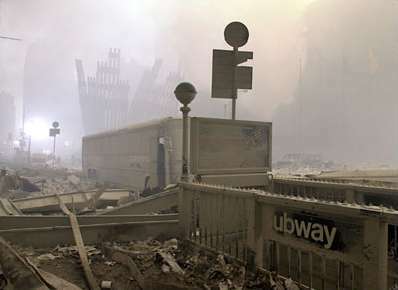 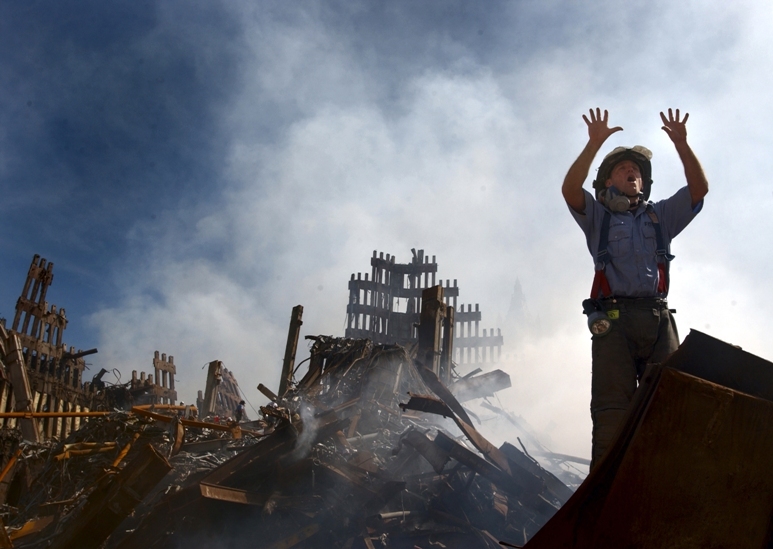 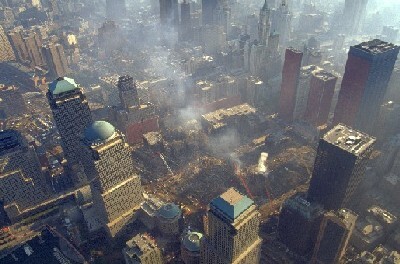 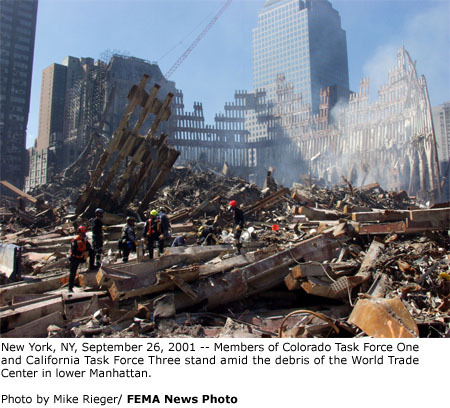 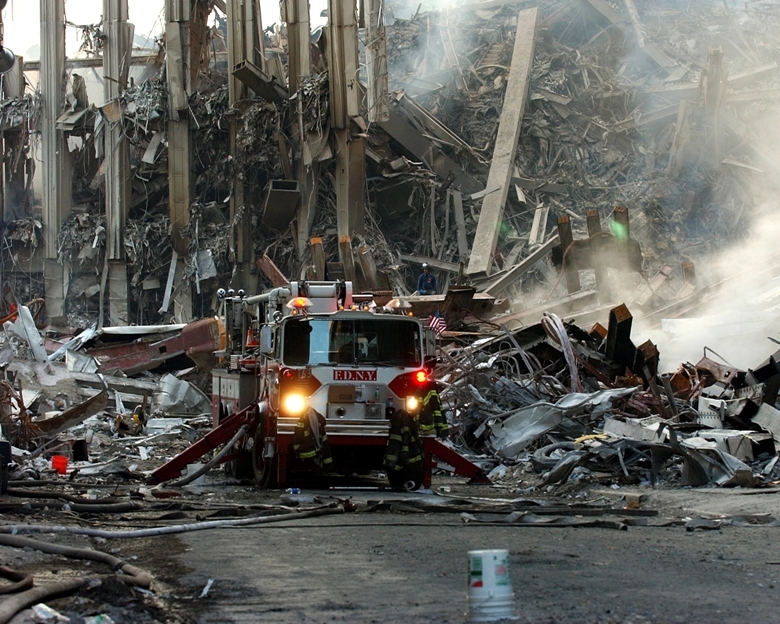 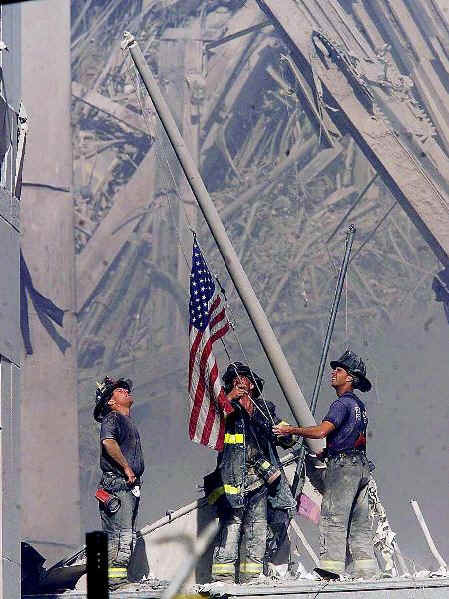 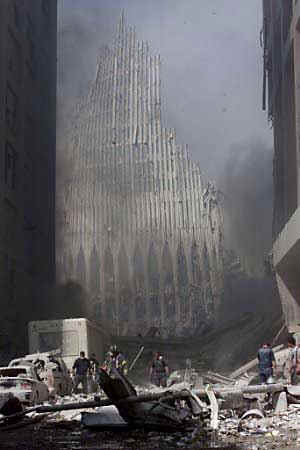 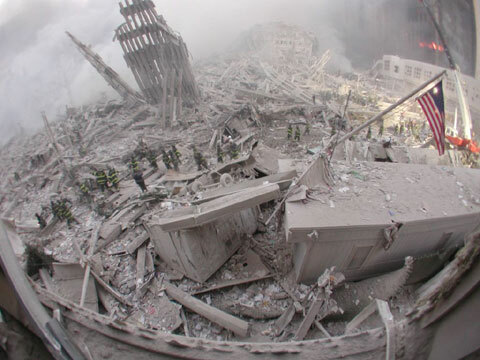 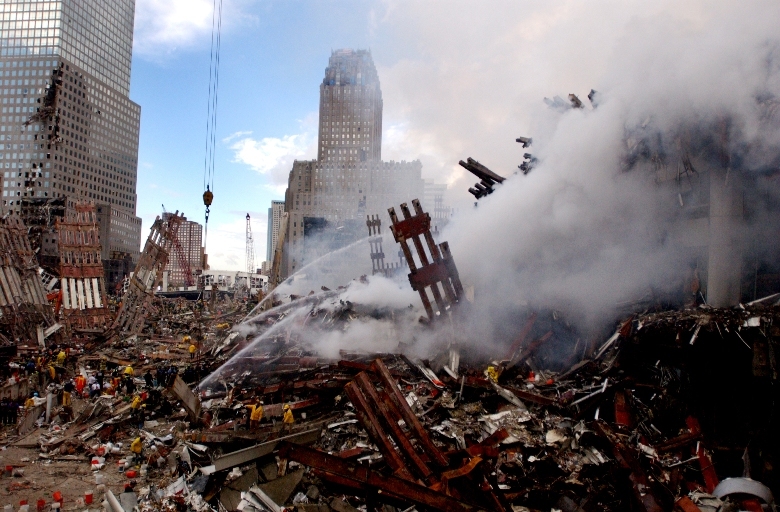 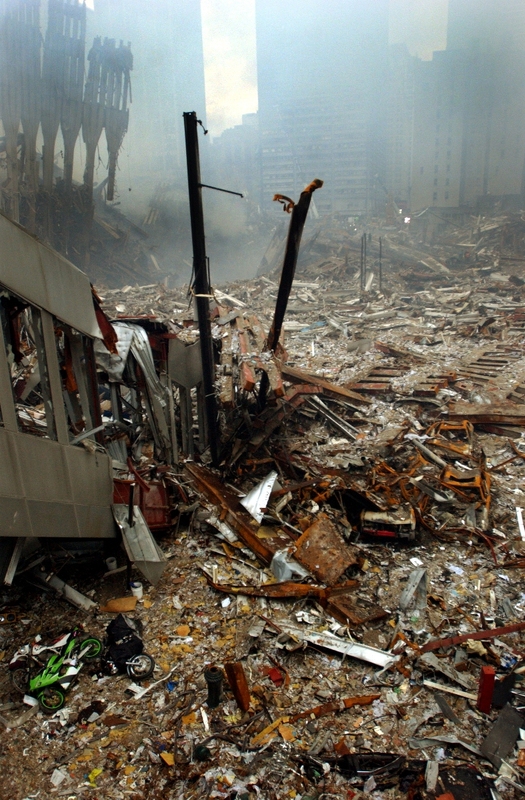 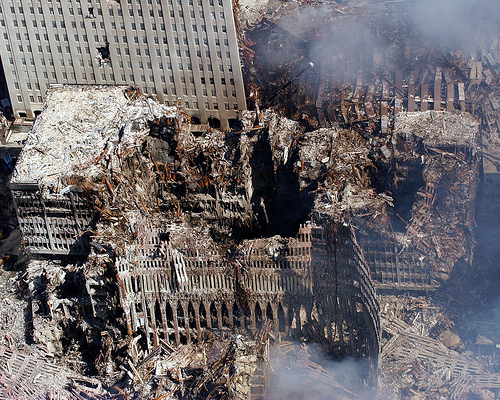 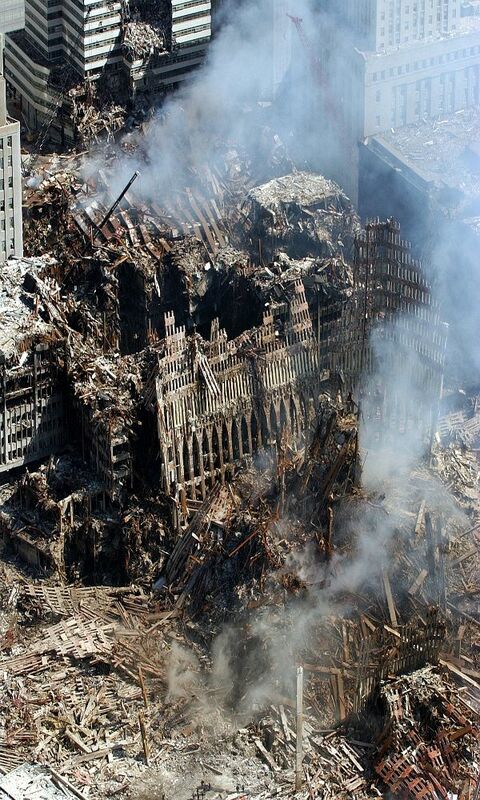 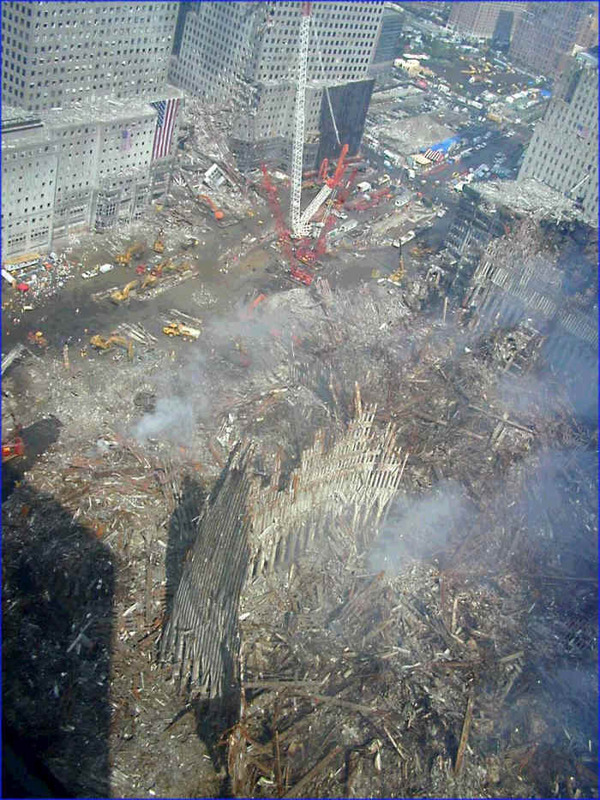 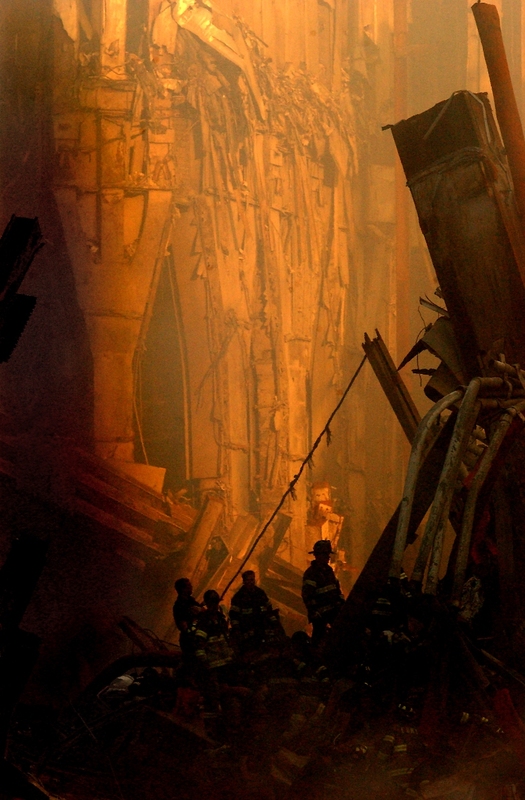 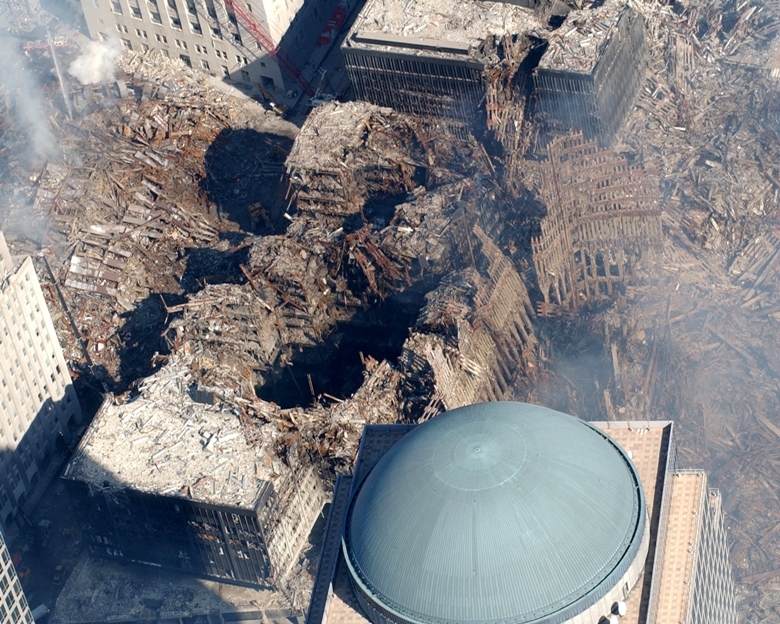 Surrounding buildings were heavily damaged by the debris and massive force of the falling twin towers. 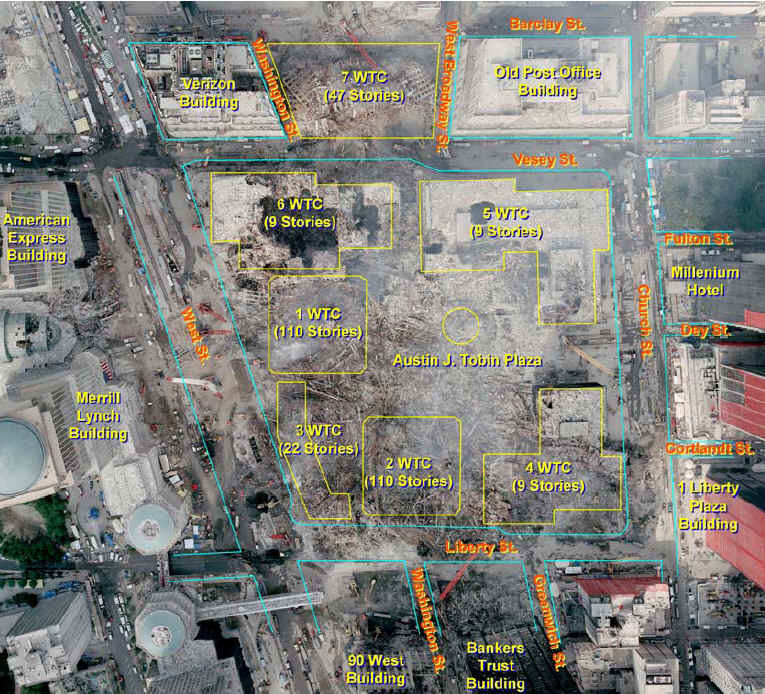 Clean-up efforts are expected to continue for months. 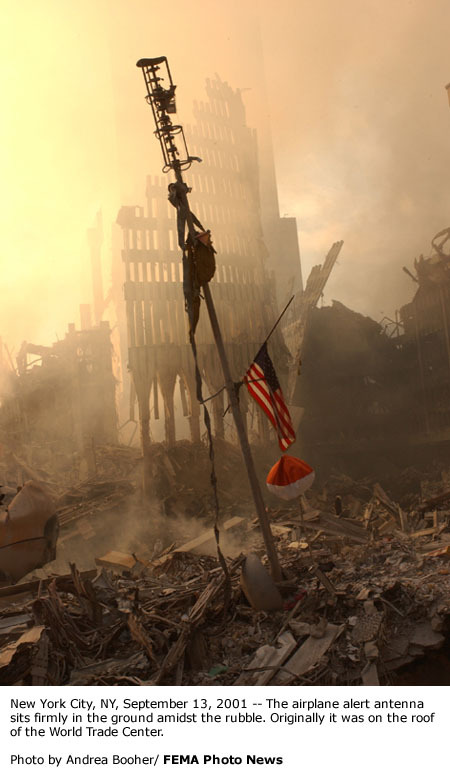 U.S. Navy photo by Chief Photographer's Mate Eric J. Tilford.